Audi A8 A8 Review and Deals 2019 | What Car? The standard A8 comes loaded with kit. Climate control, 18in alloy wheels, heated and electric leather seats, sat-nav, Bluetooth and Apple CarPlay and Android Auto smartphone mirroring are only the beginning — the full list is much, much longer. 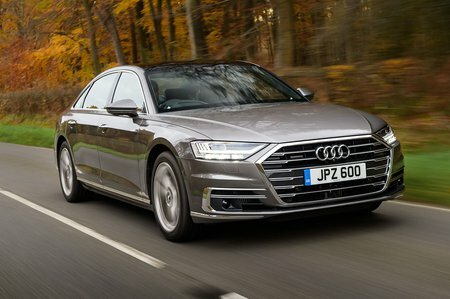 Bearing in mind how people use these cars, we'd opt for the long-wheelbase version, which as well as extra rear space adds heated rear seats, a 5.7in tablet-style remote control, four-zone climate control, rear USB ports and electric rear sunblinds.